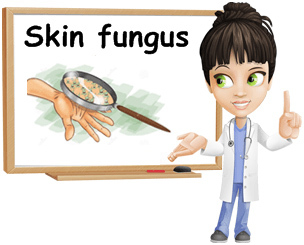 Home Health & Beauty Free From Fungi - Tips to Avoid Fungal Infections this Summer! 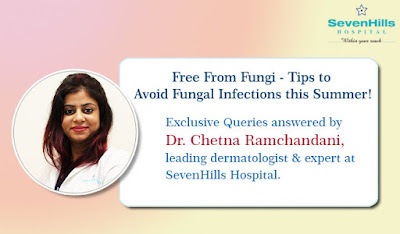 Excerpts by Dr Chetna Ramchandani Consultant Dermatologist At Sevenhills Hospital on how not to let fungal infections bother your summer holiday mood! 5 out of every 10 patients walking in dermatological OPD currently are suffering from some kind of rash, continuous itching or foul smell or discharge from foot, nails or body folds like underarms or private parts. 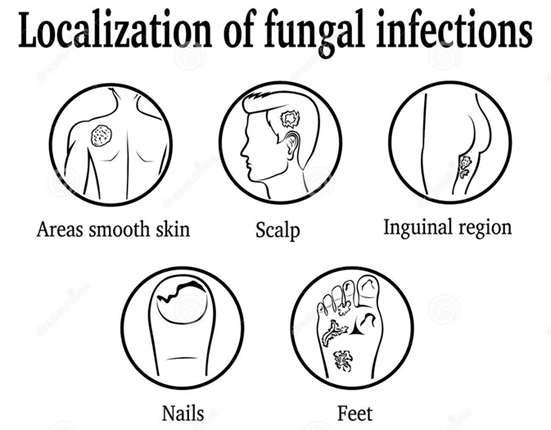 The most common cause of the above-mentioned issues is fungal infections, most common fungi being Candida. Fungal infection though not a serious health hazard can be highly nagging adding to the already sticky sweaty feeling due to summer heat which is so hard to get rid of. The only hitch for a complete cure for this is not just opting for temporary solutions like over the counter drugs and but seeking a complete dermatological treatment for you and also for your family if somebody else is also affected. · 1. Post bath makes sure that you dry yourself completely, try to stand below the fan to remove any moisture and sprinkle abundant amount of talcum powder preferably the one with an anti-fungal property in the body folds or groin. 3. 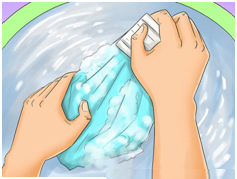 Intimate clothes to be washed in hot water, avoid sharing of towels, bed sheets or any common cloth if somebody is already having an active infection. · 4. 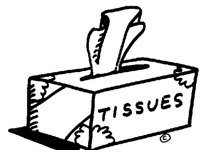 Avoid usage of tissue papers in public washrooms as they might trap moisture leading to the growth of fungal infections. · 5. 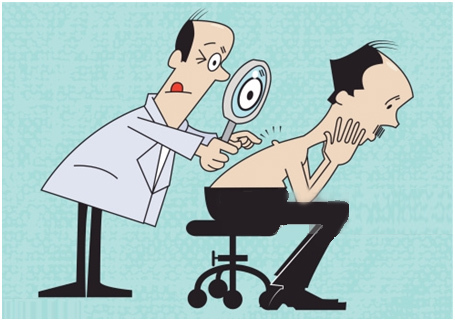 If you are currently having any of the symptoms seek professional dermatological help to avoid spreading it to you (other areas) or your family.